460ml bamboo fiber mug, the coffee cup made of bamboo fibers with reusable silicone rubber lid and sleeve. It is a perfect size compared to other bamboo fiber cups you have! Specifically, make sure the lid is sitting correctly to ensure no spillage. Made from sustainable natural bamboo fiber. Suitable for hot and cold foods and drinkings. Assorted colors with a different design. Designed for everyday use, at home or office. Cup Size: Dia 8.4x5.5 / Height: 13cm. a highly renewable, biodegradable, sustainable natural resource. not just because it helps the environment, but also it has the fashionable and beautiful patterns. How to book the personalized bamboo fiber coffee cup? Our travel coffee cup is made from organic bamboo fiber and painted from harmless organic color. In that case, available in over 100 different designs across different size. You could check our stock patterns or we can customize. We convinced that provide top quality, non-toxic, eco-friendly bamboo fiber cup with our every customer. 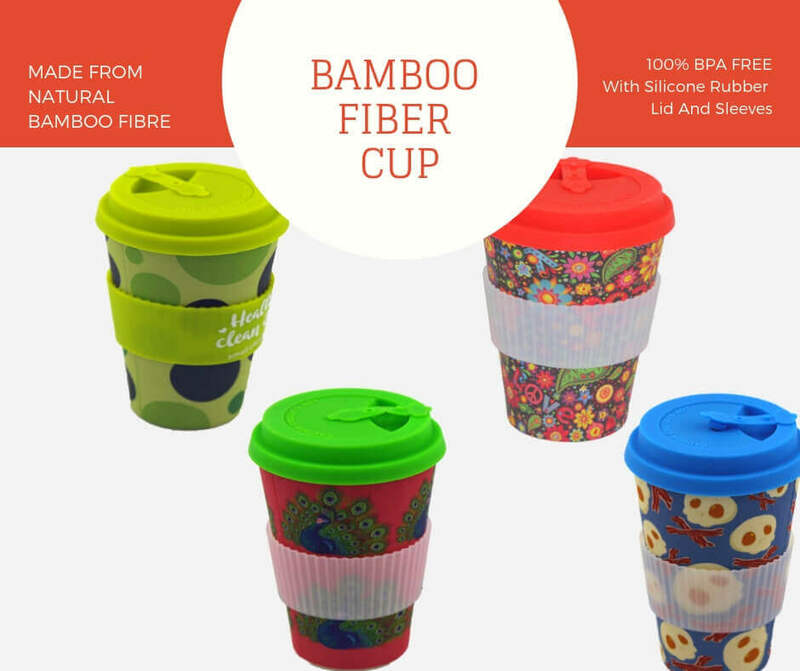 Hope that we can become your reliable bamboo fiber cup supplier!